Since cardiovascular disease (CVD) still represents the leading cause of death in the United States, researchers are, if anything, only more determined to identify the triggers of disease and those who may be at greatest risk. Science has made considerable progress over the years identifying and even treating many of the risk factors that contribute considerably to CVD progression (e.g., hypertension, type 2 diabetes, cigarettes, and physical inactivity), resulting in an overall decline in mortality rates. However, in the genomic age, researchers feel they can push the diagnostic testing boundaries even further by testing for subclinical disease through specific genetic biomarkers. This spirit animates a recent report published online ahead of print in Nature and discussed in GEN. 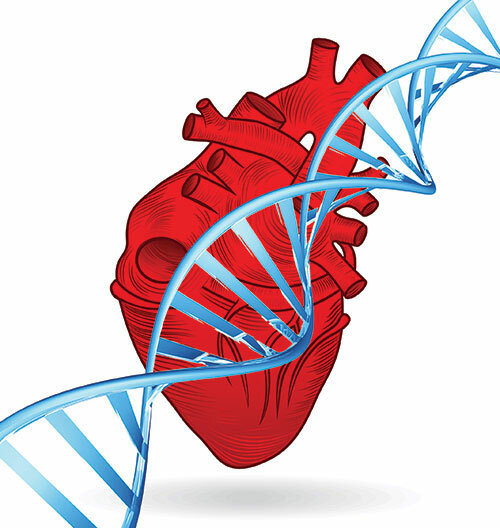 It describes how a scientific team led by researchers at Massachusetts General Hospital discovered the first gene linked to mitral valve prolapse (MVP). While it has been well documented that MVP is heritable and variably expressed in families, a specific genetic marker had not been previously identified. Although more work will need to be done with larger cohorts of MVP patients to determine the prevalence of the mutation in the DCHS1 gene, the identification of this genetic mechanism may hold potential for presurgical therapeutic intervention—an important discovery given that MVP affect nearly 1 in 40 people worldwide.